There are 10 Memory Care Facilities in the Sun City area, with 1 in Sun City and 9 nearby. The average cost of memory care in Sun City is $5,220 per month. This is higher than the national median of $4,650. To help you with your search, browse the 18 reviews below for memory care facilities in Sun City. On average, consumers rate memory care in Sun City 5.0 out of 5 stars. Caring.com has helped thousands of families find high-quality senior care. To speak with one of our Family Advisors about memory care options and costs in Sun City, call (855) 863-8283. Sun City is on the west coast of Florida, by Tampa Bay and near St. Petersburg in Hillsborough County, where an estimated 23,925 residents are living with Alzheimer's disease or other cognitive impairments, according to Elder Affairs. Census data indicates that Sun City's current population exceeds 20,000 people, and 73.7 percent of them are 65 years old or older. Some of these residents have, or may eventually have, dementia. Florida state regulations require assisted living facilities that supervise these patients to have an Extended Congregate Care (ECC) license. Sun City has a southern coastal climate with an average of 52 inches of rain per year, which is 13 inches more than the national average of 39. The national average for sunny days per year is 205; Sun City has 244. The mild winters and semitropical summers are appreciated by seniors who like the summer highs of 91 degrees and the winter lows near 50. Sun City Center receives no snow, and its Sperling's Comfort Index is 81 out of a possible 100. Crime is ranked on a scale of one for low crime to 100 for high crime rates. Sun City's violent crime, at 24.1 points as opposed to 31.1 across the United States, is lower than the national average. Property crime, at 25.7, is almost 13 points less than the national average of 38.1. Assisted living facilities add a second level of security for residents, so families can know that they are safe. Sun City is home to world-class medical facilities, including those specializing in brain health and dementia care such as St. Joseph's Hospital - South and St. Anthony's Hospital, in the event of medical emergencies or illness. 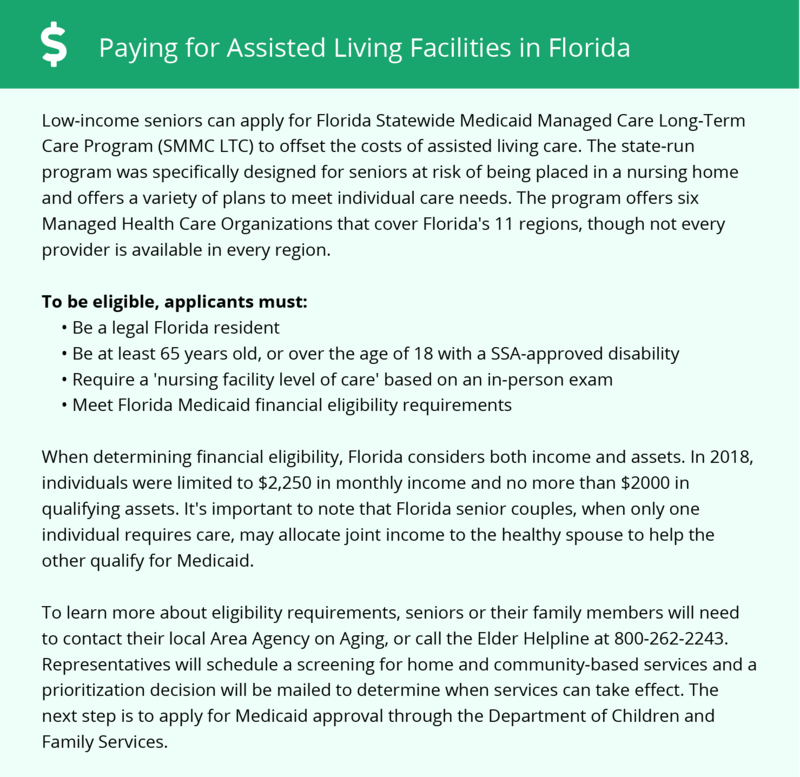 Tax-friendly Florida does not have a state income tax, which allows those seniors receiving Social Security or a retirement pension to budget more money toward their care in Sun City. This relieves some of the burden on families wishing to respect their elderly loved one's request to age in place. Memory Care costs in Sun City start around $5,220 per month on average, while the nationwide average cost of memory care is $4,799 per month. It’s important to note that memory care rates in Sun City and the surrounding suburbs can vary widely based on factors such as location, the level of care needed, apartment size and the types of amenities offered at each community. To see a list of free memory care resources in Sun City, please visit our Assisted Living in Florida page. Sun City-area assisted living communities must adhere to the comprehensive set of state laws and regulations that all assisted living communities in Florida are required to follow. Visit our Memory Care in Florida page for more information about these laws.